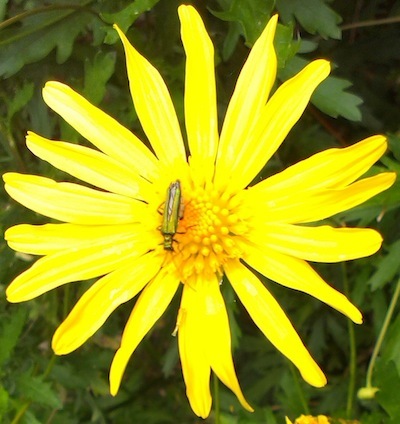 Some of the most attractive garden insects are beetles (Coleoptera). Most have hard casings that protect their wings and these can be very colourful and often have a metalic looking sheen. 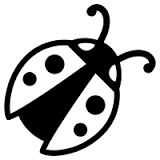 From a gardener’s perspective they can be allies, like the aphid eating ladybirds or foes like the bright red lilly beetles. As much as I love to see the lillies in flower I think the beetles are as beauftiful so I let nature balance them out. So far I haven’t managed to see many beetles in the garden, and most of those I’ve seen have eluded the camera so I have had nothing to identify… there were only two exceptions by July 2013.